Fresh, natural and spry this feminine bouquet will brighten up your wedding day with lots of ruffles and textures. Lisianthus is an antique-like bloom with silky petals and many closed buds that are delicate in appearance yet sturdy for arranging. Sweet William is a ball shaped bloom that features many delicate white flowers that sit amongst lush grass like greenery, similar to Green Trick Dianthus, which can be added in for even more fluffy fun! 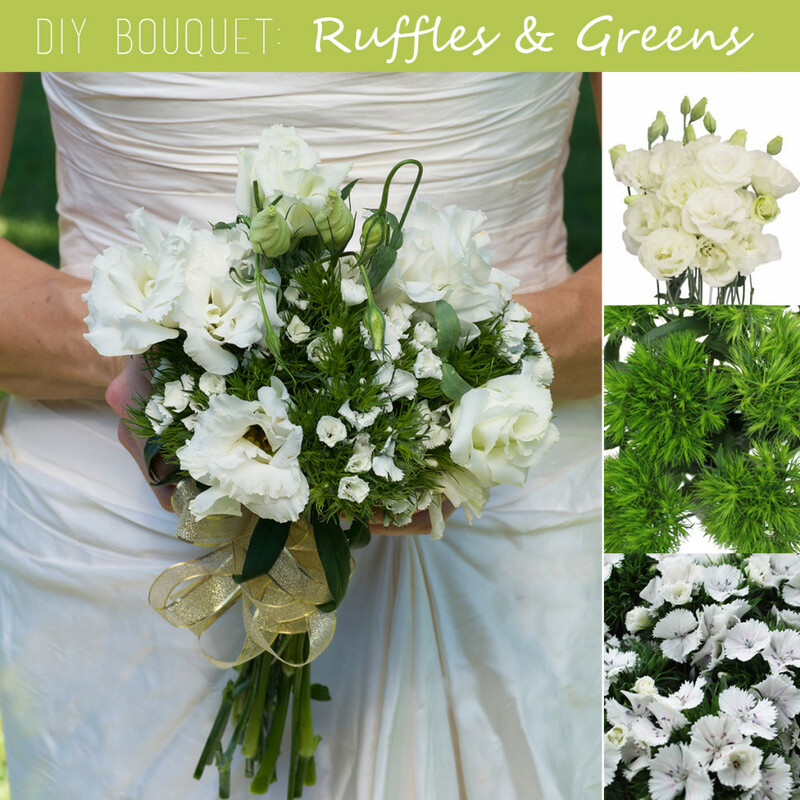 This ruffled bouquet can be created in a wide range of colors to match your wedding day theme. It’s simple, sweet and a little sassy! This bouquet was created by me (a regular DIY-er and surely not a professional florist) using White Lisianthus, White Sweet William and Green Dianthus.